It’s no secret that telecom operators have struggled against the popularity of over-the-top (OTT) applications like WhatsApp and Skype, who have challenged traditional voice and SMS revenue streams. Some operators have called for regulators to subject OTTs to legacy telecommunications regulations in order to even the playing field. But such suggestions are misguided, according to the ITU. Telecom operators are stuck in a predicament regarding OTT services who utilize their networks. They have little control over the growth of OTTs because users should be free to use the internet as they please. The network carrier only carries the IP packets from source to destination. They might be aware of the packets and their contents, but cannot do much about it. Carriers have had to roll with the punches and figure out how to adapt. Ultimately, using VoIP (voice-over-IP) is a cheaper alternative to making expensive phone calls because the user doesn’t have to pay to use the dedicated phone line and instead utilizes an internet connection without any extra costs. As is the case with most VoIP services, calls made using the internet are often free while calls made to a cellular network require a payment. The advanced communication functions of modern smartphones have played a role in the rapid growth of OTT services. The question is: what can network carriers do about it? Telecom carriers have lost hundreds of millions of dollars of revenue to VoIP services, statistics show. Some network carriers reacted, of course, by imposing restrictions on VoIP services. AT&T did this when Apple released its iPhone and the US telecom operator didn’t want its network being used for VoIP calling. AT&T lifted the block in 2009 after pressure from the Federal Communications Commission (FCC). AT&T had an agreement with Apple to ban apps that would enable iPhone users to make phone calls using a wireless data connection. The scandal was revealed when the FCC requested that the companies explain why Google’s Voice app was rejected for the iPhone app store. The FCC was led to investigate if AT&T and Apple were colluding to prevent competition, sparking the beginning of a sour relationship between telecom providers and OTTs. Can telcos come out on top? For decades, telecom operators had free reign to charge rates for voice, data and SMS largely in excess of their marginal cost, which created a market ripe with innovation. The International Telecommunications Union’s (ITU) recent report ‘The State of Broadband 2017’ highlights the struggle telecom operators have faced since that period began to wane, as online applications became increasingly popular with consumers around the world who wished to interact in ways not possible through traditional communications channels. The demand for OTT services has driven the telecom industry to a new era, and some telecom operators – in defense of their traditional revenues – have sought to “handicap” the growth of OTT players, the report suggests. It’s important to note, however, that these OTT services, however disruptive they may be, are driving demand for telecom operators’ broadband services. Without the content and services that OTTs provide, consumers would be less willing to pay operators for internet access, ITU claims. Telecom operators, according to the report, claim they cannot invest in their networks because online OTT services have limited their ability to generate revenue. The ITU says this is “inaccurate” and “misguided”. Some telecom operators have called upon regulators to apply the “same rules for the same service” by encouraging authorities to subject all online OTT services to legacy telecommunications regulations. ITU rejects this, emphasizing that OTTs don’t offer the “same service” as telecom operators, and that subjecting them to the same rules would be “entirely inappropriate”. OTT services like Facebook and Google, for example, don’t provide equivalent services as telecom operators, the report points out. Operators provide access to the internet and some vertically integrated services that take advantage of, and are bundled with, general access. Online OTTs, on the other hand, provide interactive experiences for internet users that go beyond traditional voice and SMS, including payment services, chat services and photo/video sharing. The fundamental differences between the telecom sector and online OTT services has led to the establishment of different rules, the report highlights. For instance, telecom regulations are intended to ensure that established operators – who own network infrastructure with high barriers to entry and face limited competition – do not use these privileges to the disadvantage of consumers. OTT services, by contrast, don’t control network infrastructure and must compete fiercely to retain customers who could easily be swayed. There’s also the perception that OTT payers get a “free ride” on telecom network infrastructure which is financed by operators. But in truth, OTT players invest billions of dollars annually in a combination of physical facilities, according to the ITU, including data centers, fiber networks, servers and routers, which form an “essential part of the physical fabric of the internet”. In fact, according to the report, online OTT players invested an average of US$33 billion per year in infrastructure from 2011-2013. ITU argues that telecom operators should recognize how much online OTT players drive consumers’ willingness to pay for internet access, which then provides more opportunities to generate revenue and finance new infrastructure. According to the report, consumers who demand the most data tend to spend more money on mobile contracts that feature high-speed data – revenue that goes directly to the telecom operators. “Regulatory authorities do not have to choose directly between the interests of online application providers and telecom operators,” the ITU report concludes with. The most important aspects of internet usage that regulatory authorities should focus on, the report suggests, are adhering to customer needs, ensuring that the internet is widely available, and prioritizing connectivity, competition and innovation. New telecom industry trends are driving OSS/BSS systems requirements, with new service layer architecture and customer experience management at the core, causing a move to automated systems and management-as-service logic. The most glamorous part of networking is unquestionably the hardware that moves and delivers information. Historically, the least glamorous part has been the operations support systems and business support systems (OSS/BSS) that support the service providers' day-to-day operations as business entities. But making a profit by delivering a product or service is the core of any successful business operation and without technology to support those goals, there won't be any hardware to deploy or a mission for it to support. So the bottom line is that telecom industry trends in OSS/BSS systems are just as critical as network hardware technology trends. According to network operators, the top telecom industry trends in OSS/BSS systems and architecture are being driven by service layer architecture and changing the need to manage customer experiences rather than subscription services. Networks of old made money by providing technology to connect users and services were derived from that technology. To achieve optimum return on investment (ROI), network equipment and services investments were made with a very long capital cycle. Products were expected to be in service from five to twenty years or more. If future services are created through software processes and aimed at supporting experiences instead of customers, they will be more complex and much more numerous than services of the past. Operations costs cannot be allowed to scale in proportion to the number of services or to grow exponentially based on the number of service component relationships. That means that the OSS/BSS systems of the past, which supported human-driven provisioning processes, must support automated, software-based dynamic services. It’s worth mentioning that since the model of future customer relationships is to provision a service pipe (a broadband connection) and then exploit it with add-on services/experiences, the industry has a unique opportunity to automate the latter process and contain the growth of operations costs to maximize ROI. Today, 65 cents of every revenue dollar for a network operator is spent on costs like operations and administration. At a minimum, that must not be allowed to grow in the future. Service automation demands the orchestration of service features by first composing those features into services/experiences and then using the composition to deliver the customer experience when ordered. In effect, services of the future are defined by scripts that represent an abstract view of how resources are committed to create the service. When the order is placed, those abstract resources are mapped to real resources in a way very much like the mechanisms of virtualization or cloud computing. This means software designed to interpret service scripts can create the service automatically when activated by an order, eliminating manual operations on a per-service basis. That is absolutely critical if costs are to be controlled. The final trend, and the most significant of telecom industry trends for OSS/BSS systems, is the transformation of management from an independent layer to an element of service logic. The TM Forum's Next-Gen OSS Contract (NGOSS Contract) vision reflects a model of services where the scripts that describe service behavior process not only service orders, but order terminations, service faults, service changes and other lifecycle events. This bold step would not only transform operations support, it would transform OSS/BSS architecture itself by making it less of a separate software function and more of an integral element of the service layer. The interdependence of service logic and management presents major challenges to OSS/BSS vendors who have traditionally separated their tools from service logic and even by isolating it through standard interfaces from the network itself. Even OSS/BSS standards bodies like the TM Forum are challenged by the integration of logic and management because those bodies have not traditionally addressed service logic elements and issues. Because componentized service-layer logic can be modeled easily through object-oriented software design and represented as a form of cloud computing, bodies like the Object Management Group, the Distributed Management Task Force, the Open Service Assurance Forum and the Open Cloud Consortium may play a much larger role in OSS/BSS systems in the future. And service logic principles, articulated by traditional organizations like the ITU, ETSI, OASIS, GSMA and 3GPP, will increasingly impact service management and thus OSS/BSS design and deployment. All of this adds up to a single truth; OSS/BSS systems of the future will increasingly be part of a larger service-layer architecture, gradually losing their current identity and focus. 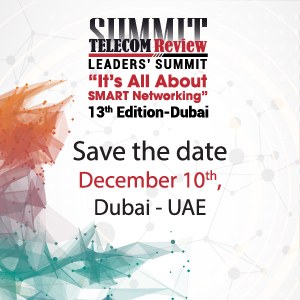 This will create opportunities for network operators, equipment and software vendors, and standards bodies to generate new and highly relevant solutions to the emerging service challenges. It will also create risks for those who don't recognize these changes and address them promptly. Gina Haspilaire believes that her career is not a matter of trying to fit in, or trying to become what you are not. It’s a matter of doing your best, knowing where you fit and pursuing your goals with passion. Gina is Chief Human Resource Officer of Reliance Communications (Enterprise) and Global Cloud Xchange, responsible for the company’s HR, Corporate Affairs and Facilities management. Ms. Haspilaire joins the company with more than 25 years of experience in general management, global strategy, business development, sales and marketing, HR and customer services. Most recently, she was Vice President of Sales for the Americas (Canada, USA, Mexico, Brazil) at HENKEL, Adhesive Technologies. She also served more than 10 years as Vice President & Managing Director, Enterprise Sales for Pacnet where she covered the Americas and Europe, ranking her business unit in the company’s top 3 for 9 consecutive years. Active Telecoms recently visited with Gina to give our readers a perspective of her new position and her career. Would you please tell us more about you, your life, education and background? I was born in Port-au-Prince Haiti. My parents immigrated to America during my pre-school days. Both parents worked, yet my mom was also expected to be the “perfect homemaker” as our cultural background dictates that women were subservient to men. I grew up in Brooklyn, New York in the midst of the women’s liberation movement in the ‘70s – at the young age of 12, Helen Reddy’s “I Am Woman” song had a huge impact on me… it has inspired me to be strong, be focused, be determined, be persistent. From age 8 to 17, I spent every summer in Haiti as my parents wanted us to grow up bi-culturally and have strong cultural values. While I have fabulous memories of learning to drive on dirt roads; midnight sneak-outs for street foods; and travels through the spectacular nature forests of Haiti, I also felt the stress that a male-chauvinistic culture had on women, and the rebellious nature in me kicked in... For example, “women should not drive” –yet I got my license at 17! When my auto mechanic father realized I was not going to “fall in line” – he decided to teach me how to keep safe on the road…teaching me to fix and maintain my car. At Midwood High School in Flatbush, NY, I was considered a star athlete in track-and-fields and qualified for a semi-professional team, I was also active on the cheerleading squad. My focus was to work hard and succeed both academically and athletically in order to be “noticed.” The reward came when I made the 1980 Olympic try out times for the 200 yard dash! I graduated from St, John’ s University, BS Mathematics and Computer Science at age 21 and began teaching HS in NYC Department of Education in some of the toughest neighborhoods in Brooklyn (Bushwick HS) and then Queens (August Martin HS). I also worked evenings in the collections department for Chase Visa. A side note – I married my college sweetheart in my junior year. My father called it “marrying potential” – which is why I mostly love hiring that way in my current job. In my second year of teaching, I realized I could not pay off my loan earning $14,000 a year so landed a job with AT&T at a job fair. Starting in junior technical positions including writing code in C on Unix OS and other special projects, eventually working my way into becoming a Sales Engineer and later into the corporate office working on the AT&T Network team where I was able to get sponsorship to pursue my MBA from Columbia University. While pursuing my MBA, I also took care of my 2 young sons, in addition to working full time at AT&T, rotating through Finance, Corporate Affairs and Network Sales – which rounded out my exposure on how to run a company. My husband was a saint in making this possible! At AT&T, I eventually worked through the ranks to run the company’s New York City financial sector Midmarket Network sales segment, building and successfully growing a recognized #1 ranking sales team. Following a promotion as Assistant VP of Business Customer Service, I decided to leave the company to join Heidrick and Struggles as a Principal focused on executive search engagements in the technology sector. Two years later, I was recruited back to telecoms as Head of USA and Europe for Asia Netcom (which later became Pacnet, and now part of Telstra). Over the next 11 years, I built business opportunities for the company, consistently delivering double-digit growth across the market segments and winning corporate recognition for my team’s achievements on top global accounts. I left Pacnet in 2013 to join Henkel’s Industrial business. New to this industry, I was heading Sales for the Americas Electronics Business until I was once again recruited back to the telecoms sector. With my diverse portfolio of cross-cultural, cross-industry and cross-business segment experience, in 2015, I came into my current role as Chief Human Resources Officer for Reliance Communications (Enterprise) and Global Cloud Xchange. Women today have more remarkable presence in the telecoms sector. Can you share with us some details about your journey in telecom, including your current position? When I started my career, women did not have much of a presence in the business work, especially in the telecoms and technology sector. In fact the most notable ones are now running for President or are well known CEOs. My journey was special. I had a lot of great mentors and guidance and solid training from my employers. The in-depth training I received at the workplace rarely exists in today’s telecom sector due to budget cuts. For women to move forward in our industry, networking trumps all! I learned this from my childhood experiences in Haiti but proved true even in larger environments…it’s not only what you know but who you know. People don’t buy from who they know but from who they know can get things done. This is why politics have to be set aside and we just need to focus on making a difference and contributing, regardless of gender or cultural differences. Do you see more a powerful presence for women in ICT and Telecom in the future? While the presence of women in ICT and telecoms has indeed grown over the years, I see more and more opportunities for us to break through the “glass ceiling” to secure senior roles – it is about working hard and building a trusted network of colleagues across the industry. In my opinion, while more women are in fact advancing in the sector, what’s lacking is the acknowledgement of these women. At Reliance Communications (Enterprise) & Global Cloud Xchange, for example – out of the 6 C-Suite Senior Executives, 50% are women, including our General Counsel and CMO. How can women empower their roles in telecom? Just do you! In other words, be yourself and focus on building practical skills and have the basic understanding that we live in a “glocal” (global + local) world where technology is opening up new doors and opportunities that we can embark on – regardless of gender! Women have a huge advantage –it’s our “gut!” Our make-up is to be more nurturing and willing to teach and most of us lead with our hearts. While men are capable of playing the game (they’re taught to be this way from boyhood sports), women are capable of delivering the results (they’re taught to be this way from childhood girl activities). It’s all about building the confidence to know that we must be true to ourselves… it’s not a matter of trying to fit in, or trying to become what you are not. It’s a matter of doing your best, knowing where you fit and pursuing your goals with passion. It’s also about the ability to keep moving forward in the midst of challenges and perhaps rejection along the way. For women, we must remain confident that “your turn will come.” That confidence is in our gut! You have to not only know and understand what to do but how to do it. This gives you the advantage especially when it comes to leading. Leading by example in my opinion is how women can best empower their roles across industries. We also have to be willing to take risk and step out of our comfort zones – change industries, change functional roles, do something, anything that you have never tackled before but know you have the raw skills to do. Challenge yourselves. The two co-exist, there is no other way. My life is my work and my work is my life! You have to love what you do and know that if you are focused on something personal today, tomorrow or the day after whatever you need to deliver professionally will still be there. That confidence and faith will make it such that you are in control of managing balance in your life. Make sure your company understands this so that the flexibility necessary exists. Your family and significant other must also be brought into this balance. I focus on the “How” and truly believe that at the end of the day this is what makes up the tool set that one requires to consistently be successful, personally and professionally. At least that’s what’s been the key to my success. I’m a teacher at heart and love to develop people. I plan to continue to do that for as long as my professional career allows. I also love the Arts – so more than less will make me happier. With the wealth of experience I have accumulated, I hope to serve on more Boards. I have a lot to offer strategically to a variety of telecom and non-telecom causes because of where I come from. I also want to spend more time influencing change in the causes that I believe in and that are important to me, the poor, the environment, Haiti, healthcare, cancer research and treatments, healthcare for the elderly, food for the poor, education, animals, etc. I want to be able to leave a legacy professionally as well as personally. I want to teach young people and influence generations to come. I am most inspired when I have the opportunity to help develop potential to reality – young talent to ace performers and future leaders. To know that I had just a little bit to do with someone else’s success makes it all worthwhile! Truly, I am a teacher at heart! The telecom and media space is going through significant changes as the way we consume media evolves. New players and new business models are emerging in which telcos have a big role to play, rising to bigger growth opportunities. Nowadays, media consumption, in particular audiovisual content, is changing dramatically with a strong increase in the number of digital devices such as smartphones and tablets which are used frequently to watch videos. Since 2010 reaching 2014, the average time spent on major media using smartphones and tablets has grown from 12 minutes per day per person to almost two hours, showing a significant appetite for digital devices by the younger generation. Even the video traffic carried on telecom networks across the world has been growing rapidly; OTT video is driving massive traffic growth. Video usage already represents more than half of the total traffic carried over the internet globally. In all parts of the media delivery value chain, a number of new players have been emerging; their scale is already bigger than that of traditional players, even when compared to large telecom operators. These new players, which are leveraging new digital and online technologies, include internet giants such as, Google (with YouTube), Amazon, Apple and Netflix. These global internet leaders are the most successful players in terms of viewership. Netflix, for instance, is growing quickly on a global scale; it is present in 53 countries, with an addressable market of 1.3 billion people and it's accompanying its rise with large content investment. YouTube (owned by Google), however, is looking beyond its free model; Apple, having further ambitions in streaming and Amazon, has recently launched its prime instant video service proposing S-VoD services. Moreover, in Europe, a large number of video-on-demand (VoD) platforms have emerged. YouTube, for example, distributes content with an advertisement model, its revenues come from advertising and it is looking at options to introduce a paid revenue stream. It's worth mentioning that YouTube accounted for almost 20 percent of the US online video advertising market in 2013. Furthermore, Google recently announced its launch of a MVNO in the US, and could potentially bundle the mobile service with access to specific YouTube paid content at preferred rates. Yet, with all these increasing demands, there shows to be some growing strains on network. The growth in online video is resulting in a massive increase in data traffic carried over the internet, and hence, over telcos' networks. Ensuring that the quality of the viewing experience remains up to standards requires players to continuously upgrade their equipment, in addition to investing in key areas: the core networks, content delivery servers and having an interconnection between different players. This investment requires a financial contribution by the content providers such as Google or Netflix in order to help the local-access operators (telcos, cable operators). Additionally, telecom networks sometimes show their technical limits on video distribution. Telecoms data networks, forming the basis of internet networks, had been designed to deliver traffic on a best-effort basis. However, usage has evolved from a data transfer platform for applications such as email, web browsing and file transfer to a media delivery platform. This implies growing strain on networks and, hence, the need to increase the capacity and quality of networks. Already a number of large events have led to network failures, illustrating the strain on telecom networks generated by large, simultaneous video streaming demand. In spite of this, telcos are playing a major innovative role. With the advent of broadband, most telecom operators have moved beyond the provision of telephony and internet access. In fixed line, their core business is now to provide triple-play services, including TV. Telcos have actively participated in a number of innovations regarding the delivery of audio-visual content: rolling out high speed data networks (xDSL, Fiber, 4G), which enable the transport of video files and video streaming, delivering managed IPTV services and video distribution platforms, developing triple-play services, including boxes and their user interfaces, building VoD platforms and pay-TV bouquets and in some cases, acquiring or producing content. Telcos are, therefore, in direct competition with cable operators, as well as satellite-based pay-TV providers. As for the network and technology related assets, the key monetization opportunities for telecom operators include their ability to: provide broadcast-grade networks - including building the infrastructure and constantly optimizing their networks and software defined networks (SDNs) which can help enable a unified user experience throughout different types of devices, influencing the quality of the customer experience. Moreover, there are a number of strategic opportunities for all telecom operators with regard to their relationships with media and OTTs. They can monetize data traffic; content consumption, particularly video content, is an extraordinary traffic generator. Telecom operators are in a position to extract value out of this traffic growth and they can monetize the network quality, especially with large global OTTs which are in demand for quality delivery of their content, hence, of quality networks. For telcos, developing their own role in content or pay-TV services is a challenging proposition. The investment in content needs to be amortized on a sufficient scale which is difficult because telecom operators can address only their subscriber bases with the service. Still, few of them have rolled out different types of strategies to try and capitalize on the growing online content distribution market. As a conclusion, although the telco world is facing challenges, mobile revenues are getting progressively better. In mobile, the impact from lower mobile termination rates on the service revenue trend reduced drastically and the underlying trend also improved throughout 2014, from -6 percent in Q4 2013 to -3 percent in Q4 2014. There's an optimistic view on the mobile revenue turnaround and long-term growth potential. Mobile pricing is evolving towards all-inclusive bundles with unlimited voice and SMS, but the question remains: Will operators be able to monetize the increase in data usage per customer through higher ARPU, or will they include progressively larger data allowances in their current price points as they have been doing for years? It is evident that the telecom world is progressively shifting towards higher services and standards. Let's see what shall be next.